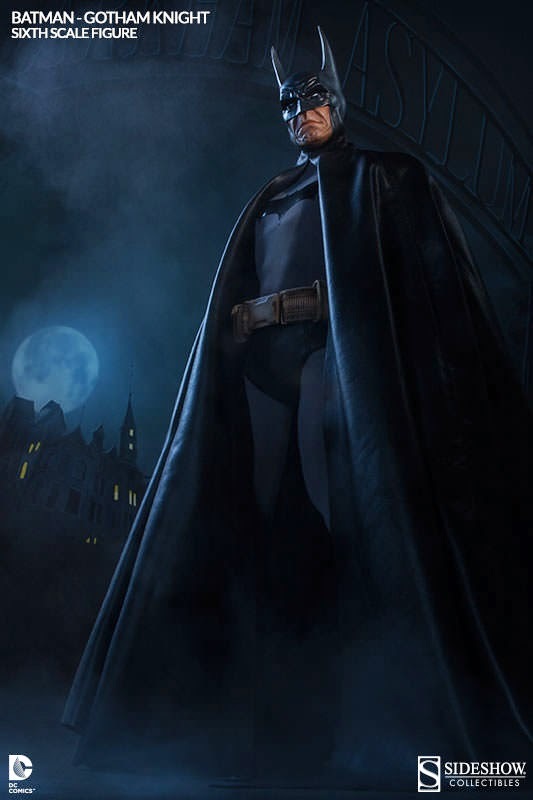 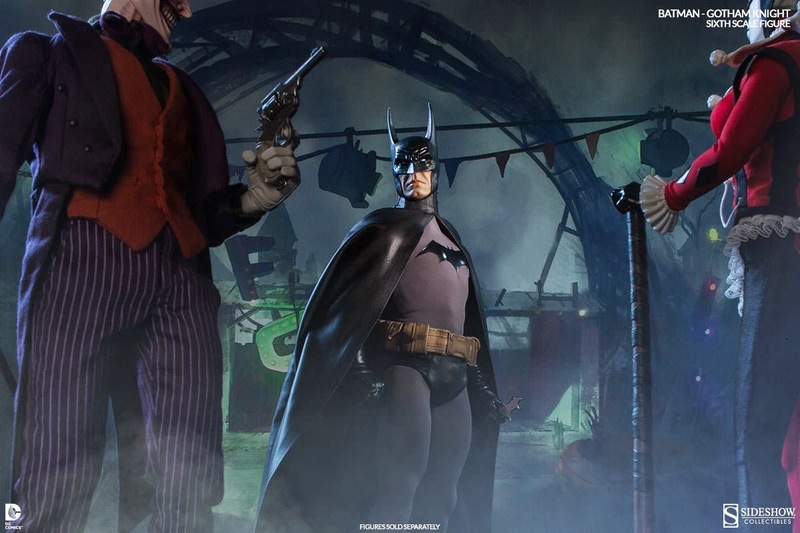 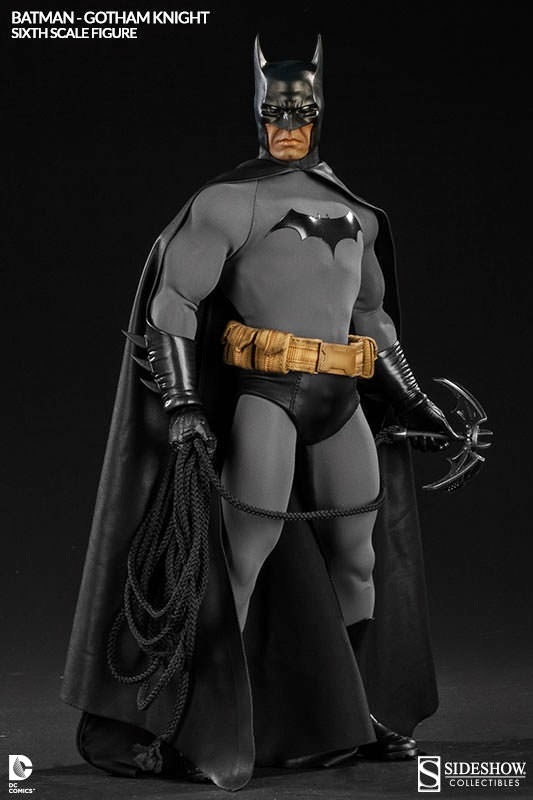 Bruce Wayne springs into action as his famed alter ego – Batman! 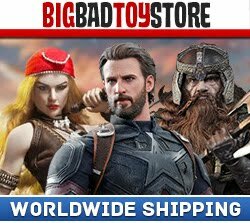 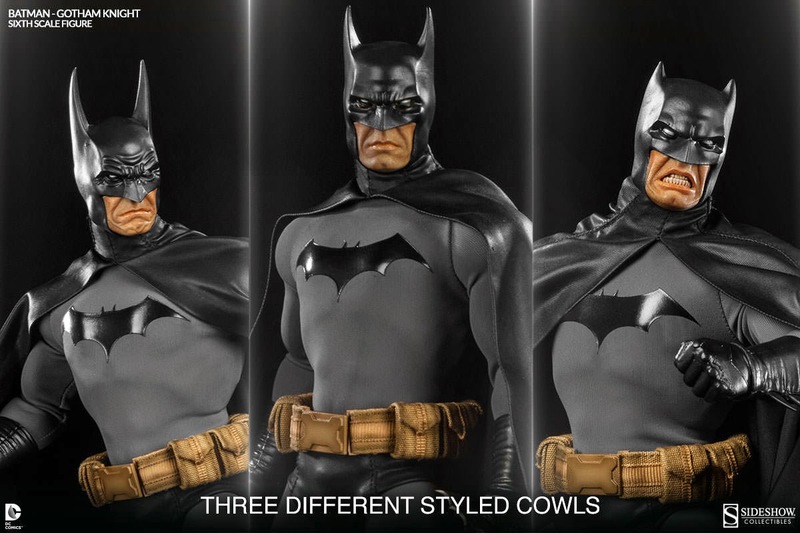 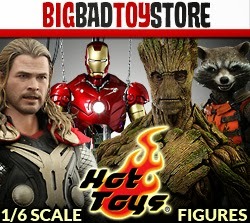 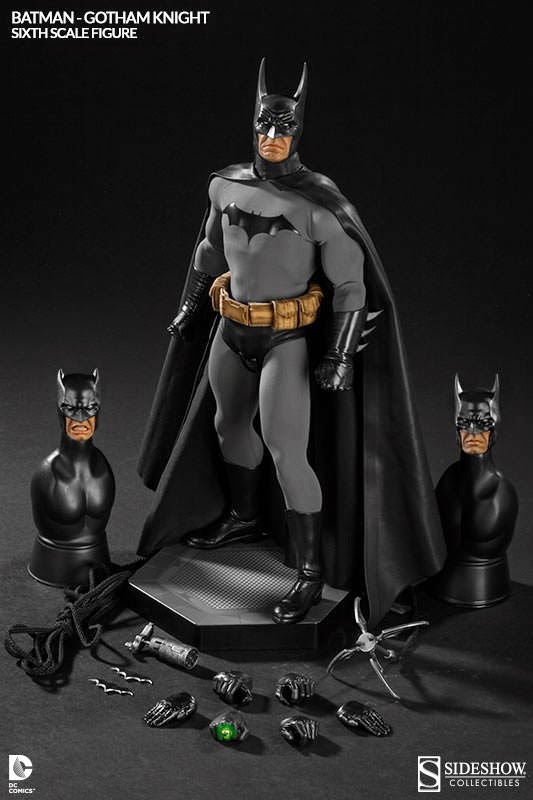 Crafted with meticulous attention to detail on a fully articulated muscular body design, our hero is disguised in a grey and black tailored Batsuit and cape. 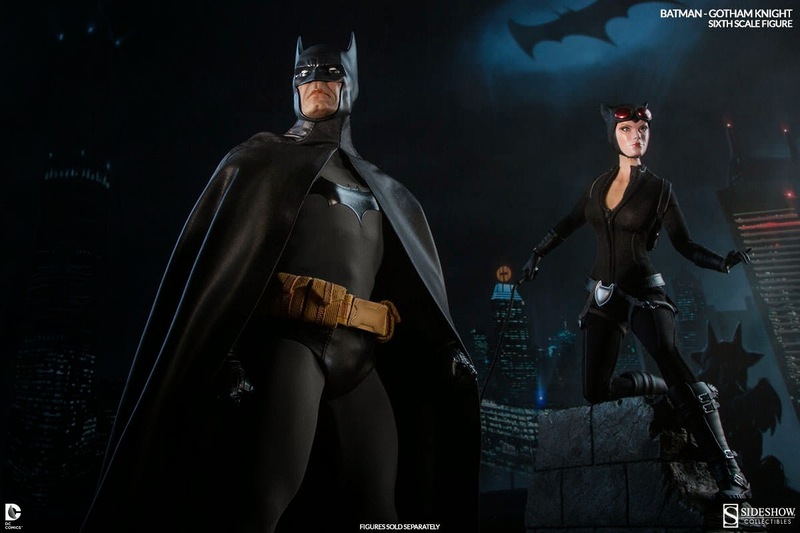 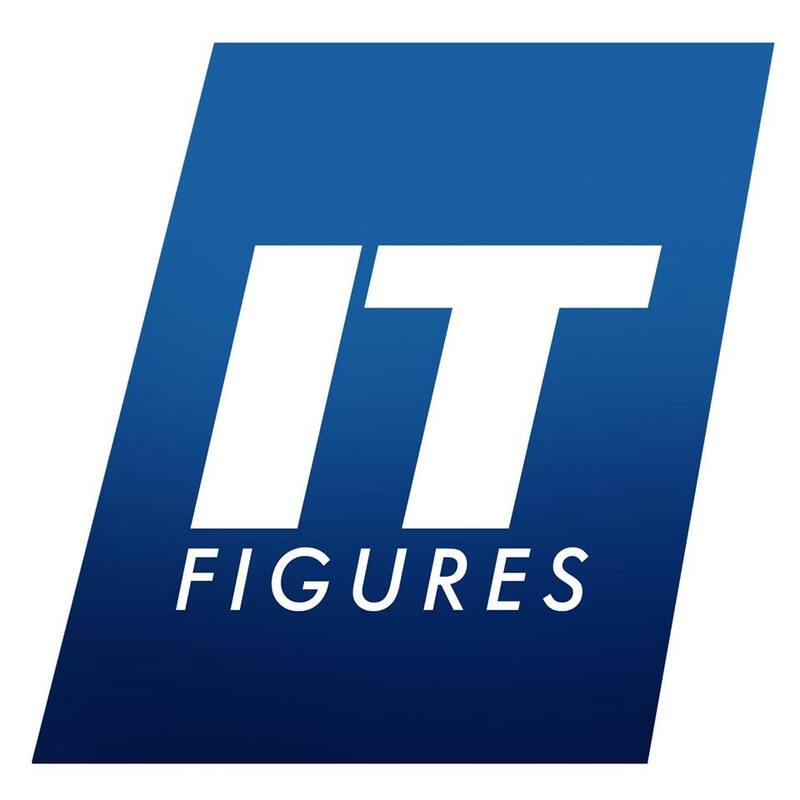 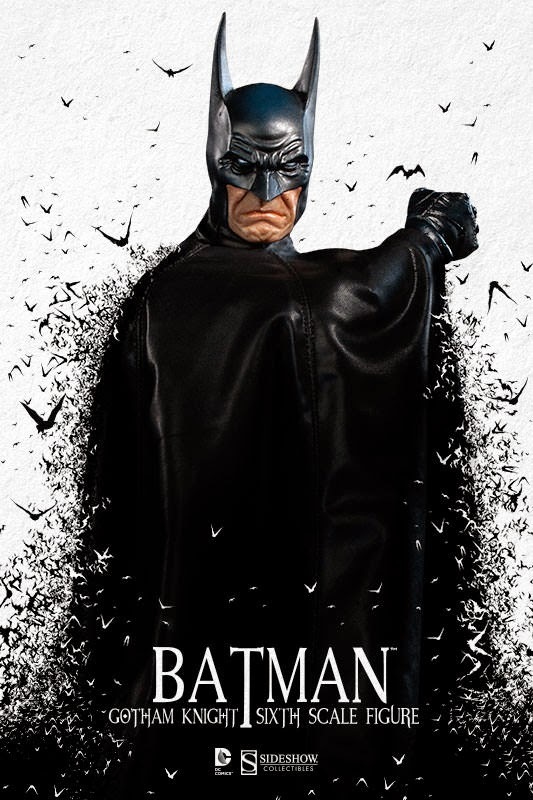 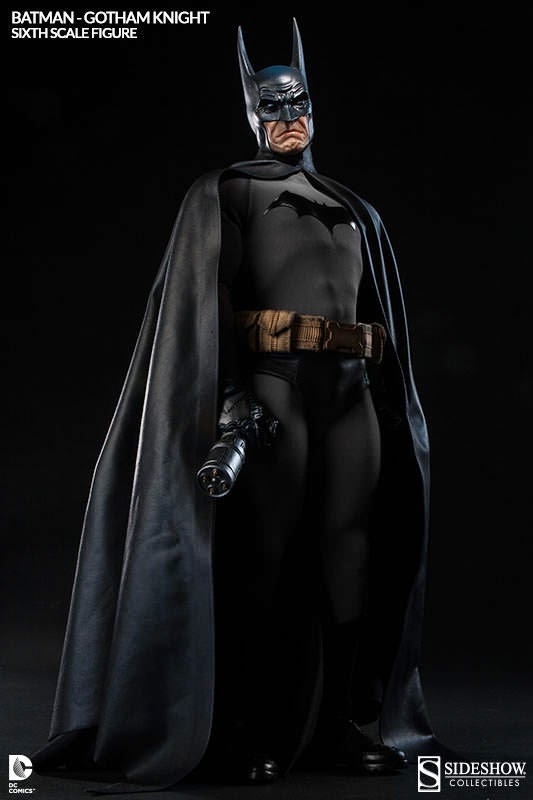 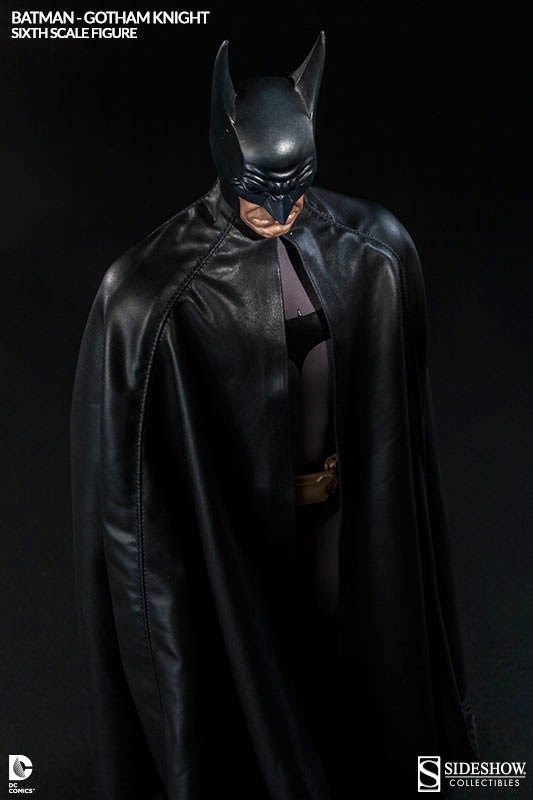 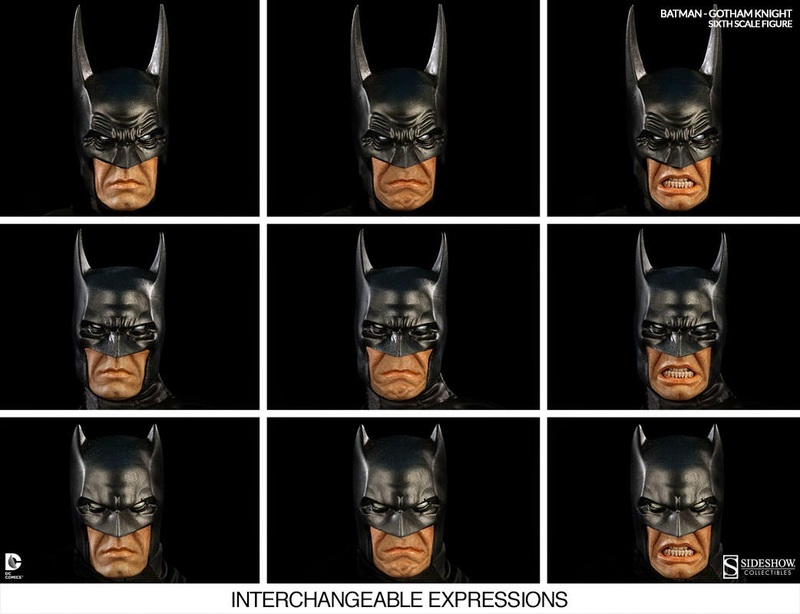 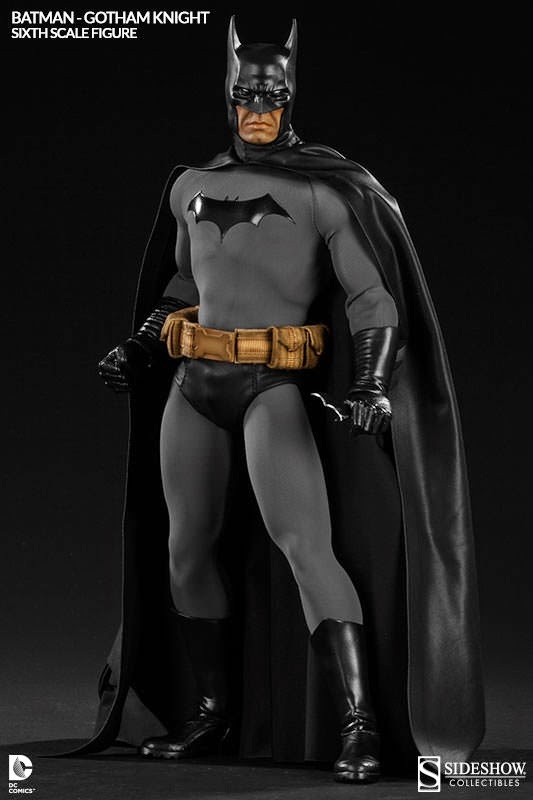 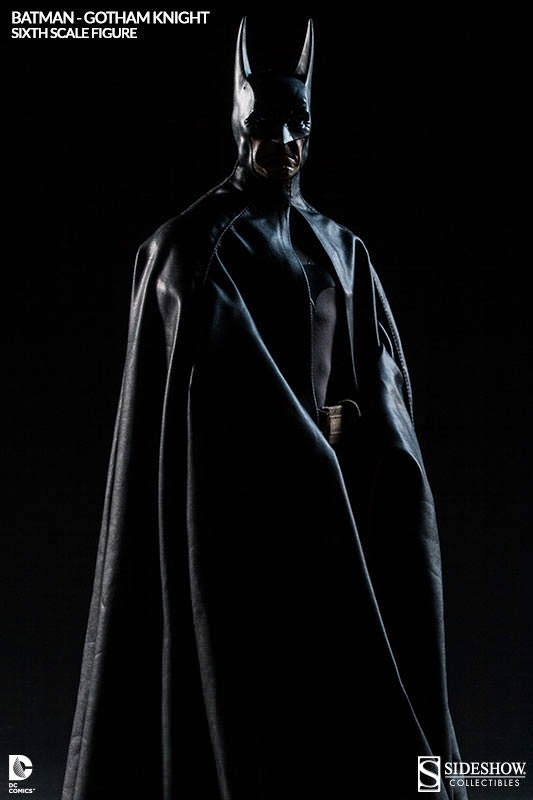 Inspired by a number of timeless comic book appearances, the Batman Gotham Knight Sixth Scale Figure invites collectors to further define their favorite look for the Caped Crusader with three cowl and mask options, and three interchangeable facial expressions, which are also compatible with Sideshow’s Batman Sixth Scale Figure. 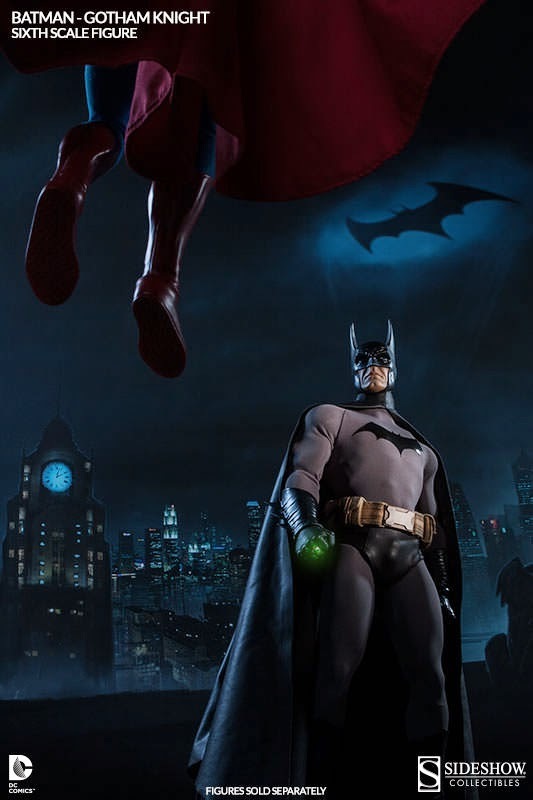 Equipped with hi-tech 'Bat'-gadgets, utility belt and grapple hook gun, the Dark Knight is always one step ahead of his foes... and for times of true crisis he keeps a powerful gift from his closest friend nearby in the form of a green Kryptonite ring.